It’s dead rubber day in the Premier League as the Hammers go limp in Lancashire. I used to think that a dead rubber was a used condom until I started to read about the finale to this season’s Premier League programme. Paradoxically at the time when condoms were actually made from rubber (rather than latex) they were considered reusable and so, technically, not dead once they had performed their duty. Of course, the UK’s most famous condoms were produced just a short ride around the North Circular by the London Rubber Company using a brand that took its name from the phrase Durability, Reliability and Excellence. If only our team could have demonstrated such admirable qualities this season and been as effective in both scoring and preventing leaks. In truth the term dead rubber should only really apply in a ‘best of’ series between two competing sides where the contest is decided before the series has been completed; today’s games are merely mostly meaningless. If Burnley round off the season by maintaining their impressive home form with an expected win against West Ham today they will also leapfrog the Hammers in the table at the same time. With Palace likely to pick up at least a point against Manchester United reserves this will see us dropping to 14th or possibly lower unless Stoke come back from Southampton empty handed. Overall it is difficult to put a spin on the season that is anything other than a complete disaster, even if there are some mitigating factors related to injuries and the stadium move. It looks to me that the club has taken several steps backwards this year and is now barely in a better position than a newly promoted side. Looking for a bright straw clutching side one could point to Machester City’s first campaign after leaving Maine Road where they finished 16th with only 41 points. The chances of history repeating itself now rest solely on the emergence of rich foreign owners with very deep pockets. We don’t need squad players. Take our last game against Liverpool. We were without eight players but still had a decent team so that shows that squad-wise, with the quantity of the players, we are okay. After 9 months of competition and hype the Premier League season ends in somewhat muted fashion with the majority of teams playing only for pride; an amusing concept in itself. The desperation in the media to talk up the battle for fourth place illustrates perfectly how much the game has become a slave to money, for which Champion’s League qualification is the perfect embodiment. We are meant to rely on relegated Middlesbrough and manager-less Watford to generate the day’s excitement. I’m sure I would feel differently if it were the Hammers fighting it out for that final spot but then we all know what would happen once drawn against the Romanian or Latvian champions in the qualifying round don’t we? The inaugural meeting between West Ham and Burnley took place at Turf Moor in 1923 following the Hammers promotion to the top flight for the first time. West Ham keeper Ted Hufton was beaten five times as the Clarets ran out 5-1 winners. Huddersfield Town pipped Cardiff City to win the league that season with a goal average difference of 0.024; now that is what I call a close finish. 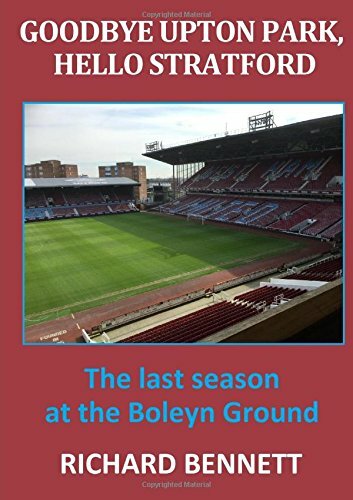 Since then West Ham have shaded matters and recent results are heavily skewed heavily in our favour, having won eight and lost only two of the last twelve meetings. West Ham have only lost at Turf Moor once in the last 39 years. Winston Reid has joined the long list of players revealed to have been playing (or battling on) with a chronic long term injury that required immediate surgery. Let;s hope for a speedy recovery as Winston is one of our better players. I wonder who gets to wear the captain’s armband this afternoon? Probably Jose Fonte! There has been some speculation that Bilic will give a debut to young Declan Rice but it would be truer to form if he recalled a fit again Angelo Ogbonna to the side. The bench is likely to have a few youngsters sat on it but whether any will get more than a token five minutes as the clock ticks down is anyone’s guess. We’ve added to the squad but we still need to look at the market again – we want to keep upgrading not just for for the quality, but as an in-house challenge to the players. Burnley may have Michael Keane back for what will most likely be his last game before a big money move to one of the big boys. Final tests don’t come much sterner than having to keep Argentine hotshot Jonathan Calleri quiet for the afternoon! The Premier League website has some timely insights into the matchday routine of today’s referee Robert ‘Bobby’ Madley from West Yorkshire. You will be enthralled to know that he will have enjoyed an early hearty breakfast of porridge and a couple of poached eggs before getting mentally prepared for the game by listening to Ocean Colour Scene in the dressing room. Madley has been in the middle for three West Ham games this season; home wins against Sunderland and Burnley and an away defeat to Bournemouth. In 34 games he has issued 142 yellow and 4 red cards.